On April 17, Sotheby’s will hold a dual sale – the Magnificent Jewels and the Fine Jewels auctions, both featuring some special diamonds and rare diamond jewellery. The Magnificent Jewels sale will be headlined by a ring set with a cut-cornered square modified brilliant-cut Fancy Intense Blue diamond. 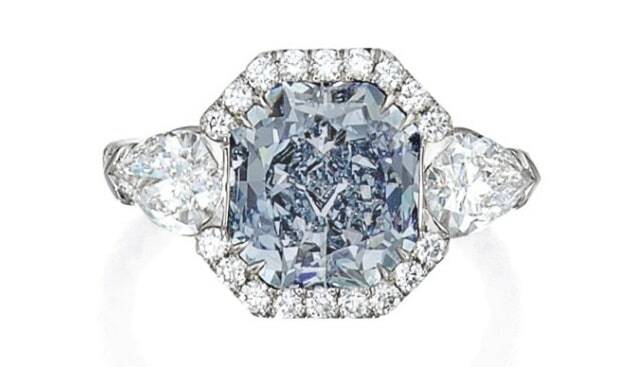 Weighing 3.24 carats and flanked by two pear-shaped diamonds weighing 0.58 and 0.54 carats, the ring is expected to fetch between $2.5 and $3 million. Other notable items in the same auction include a pendeloque brooch by Cartier from the Art Deco period, a rare enamel and diamond demi-parure created by Paulding Farnham, as well as a pair of diamond earclips, each weighing 20.27 carats, designated with “Excellent Cut, Polish and Symmetry”. 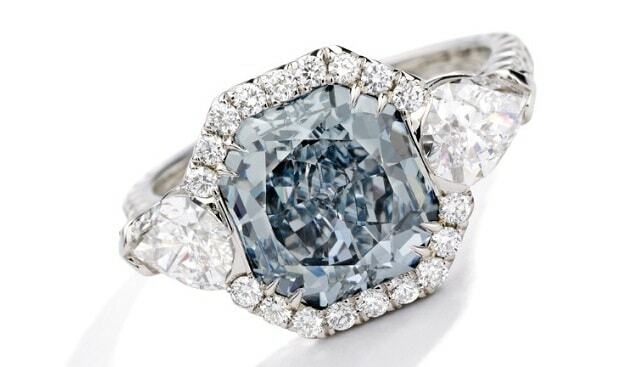 At the Fine Jewels sale, Sotheby’s will try to unload wearable designs by well-known designers such as Tiffany & Co., Cartier and Van Cleef & Arpels, as well as “white diamonds, in a variety of beautiful shapes, and a compelling selection of top-quality stones from estate and private collections”, according to the auction house.